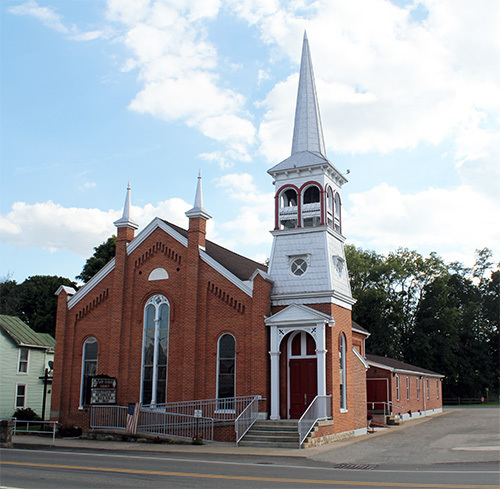 Faith United Church is a “Federated Church.” After sharing pastoral service for over forty years, St. Paul’s Lutheran Church and Ickesburg United Church of Christ officially merged into a single congregation in January of 2009. We are distinct because, as members of Faith United Church, we are actually part of two denominations, ELCA (Evangelical Lutheran Church of America) and UCC (United Church of Christ). 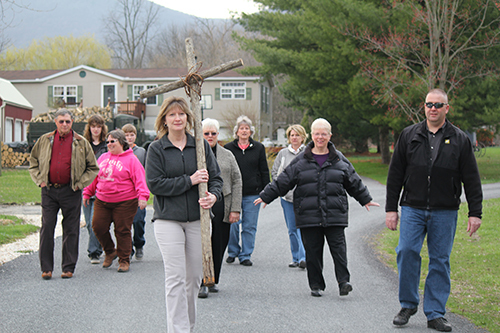 We honor traditions and policies from both denominations and from both former churches. Our worship service is on Sunday mornings at 9:00 a.m.
Sunday school for all ages follows at 10:15 a.m. in the newly-renovated social room. We welcome all, regardless of race, national origin, and sexual orientation. We are excited about the uniqueness of Faith United Church and our ministries in the community. We extend a personal welcome to everyone no matter who you are or where you are on life’s journey. Everyone is welcome here to come and share in a vibrant, authentic worship with the friendly folks of Faith United Church. We are a rural community church that values the God-given talents and gifts that everyone brings to the table, and we encourage our members to share their talents as God has intended. We are Christ-centered and bring a message of hope, peace, joy, and love through prayer. God has challenged us with numerous projects and ministries over the past years, and, at times, He has not only stretched us but also has given us a new appreciation for serving God.